Map showing modern Fayette County and surrounding counties. This link is to the Maps Collection of the Library of Congress. 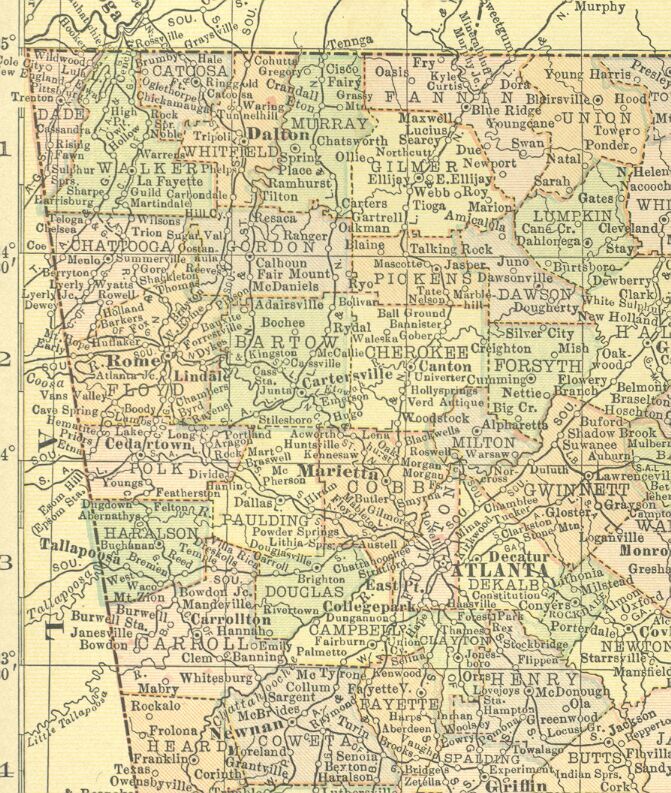 I did not find anything specific to Fayette County here but there are Atlanta area maps & panoramas.